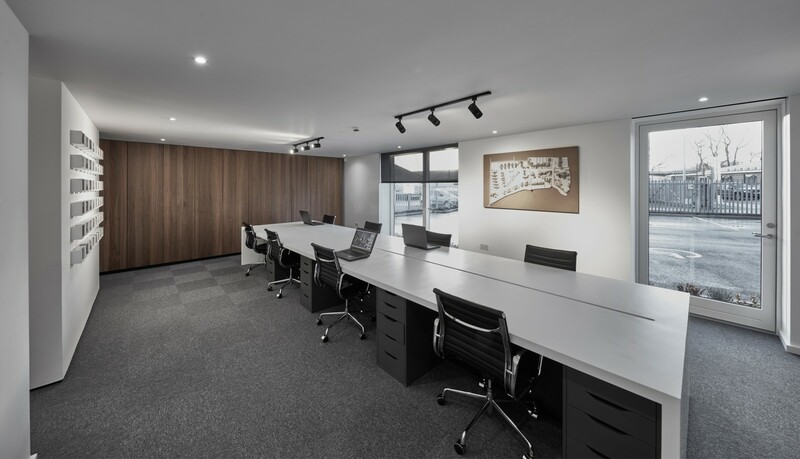 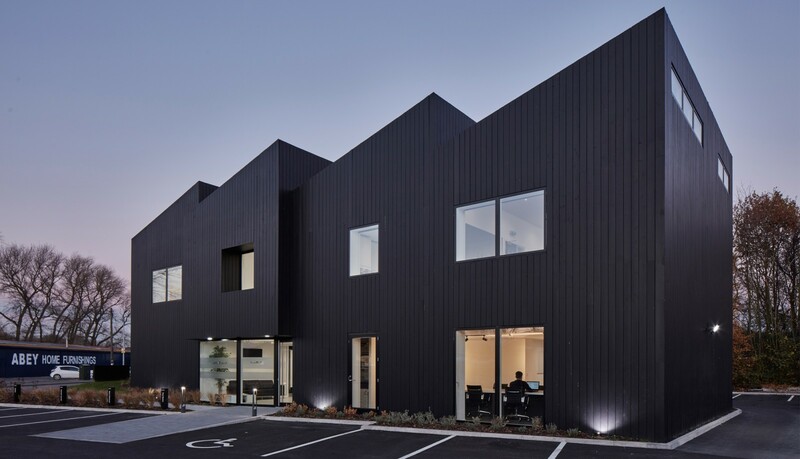 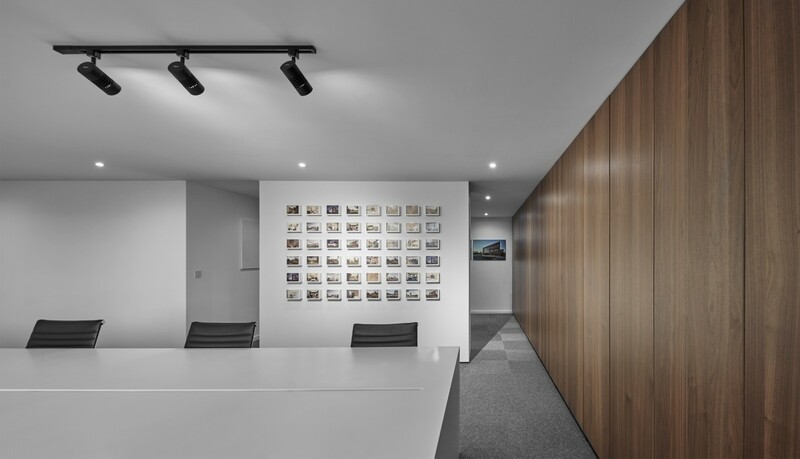 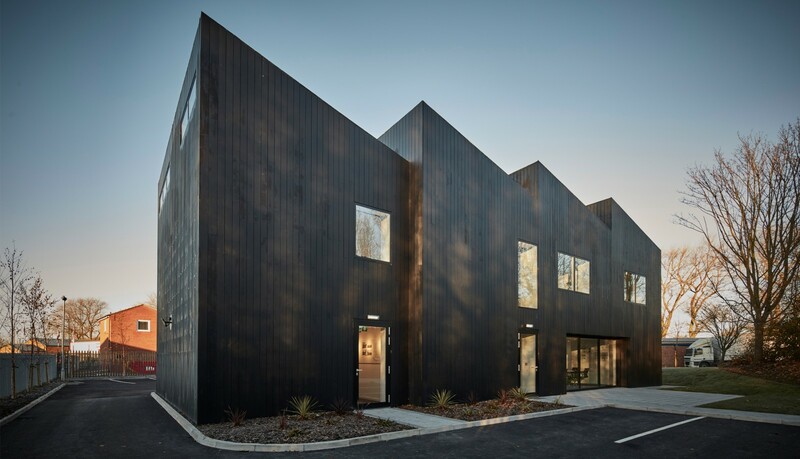 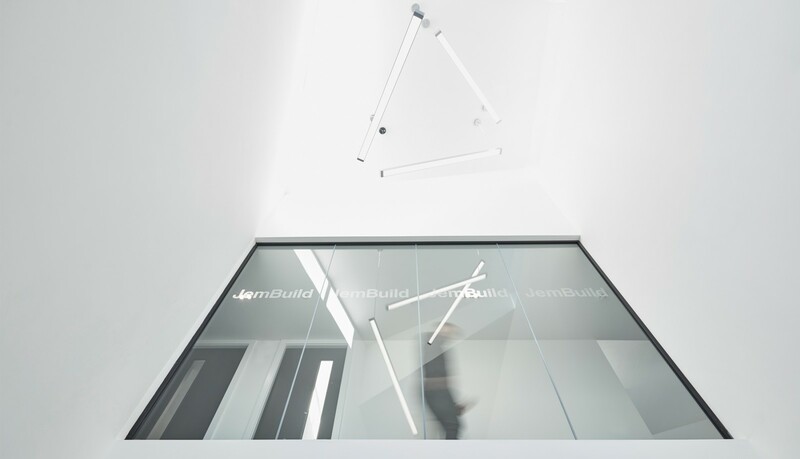 This striking new office building in Humberston is the new headquarters of JemBuild Ltd. 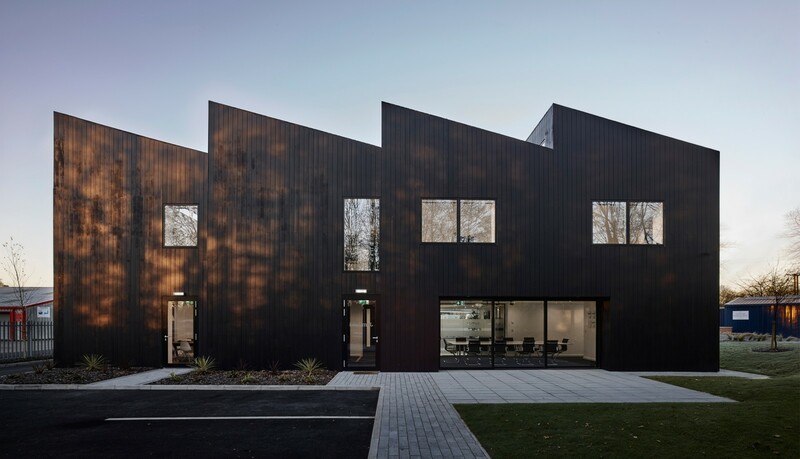 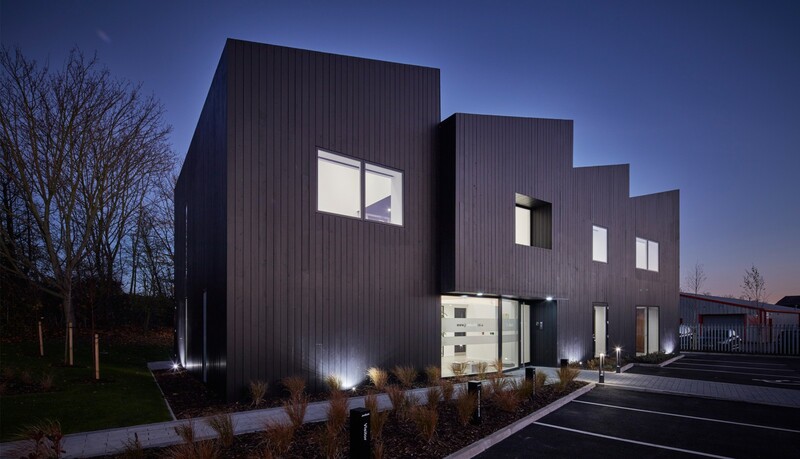 Cloaked in black larch cladding, the timber wraps up the external facades of the building following the profile of the saw tooth roof. 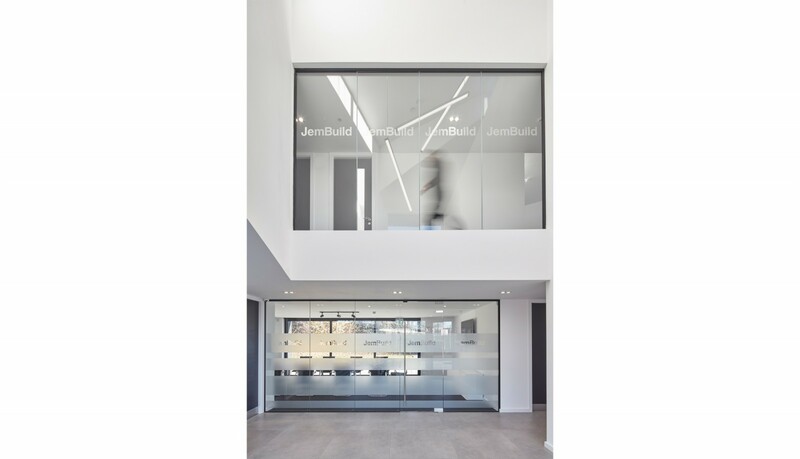 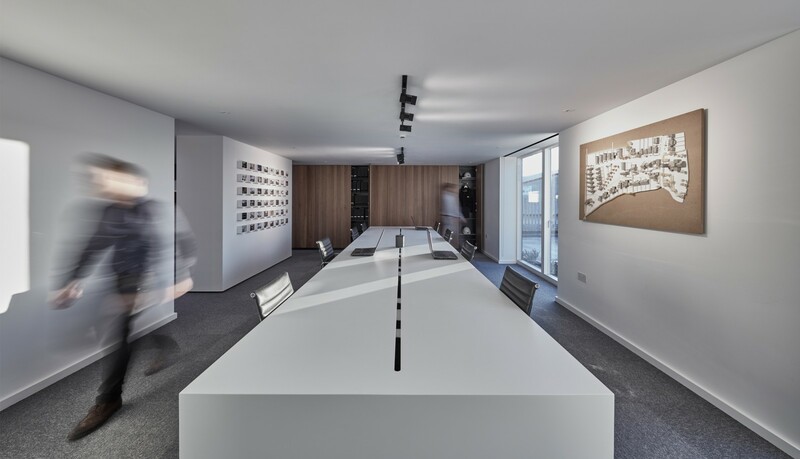 The roof provides high-level glazing to the first floor offices and the double-height entrance atrium. 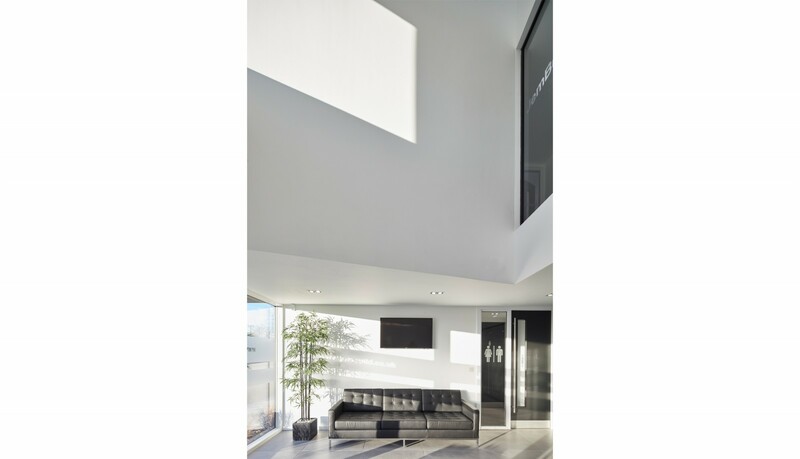 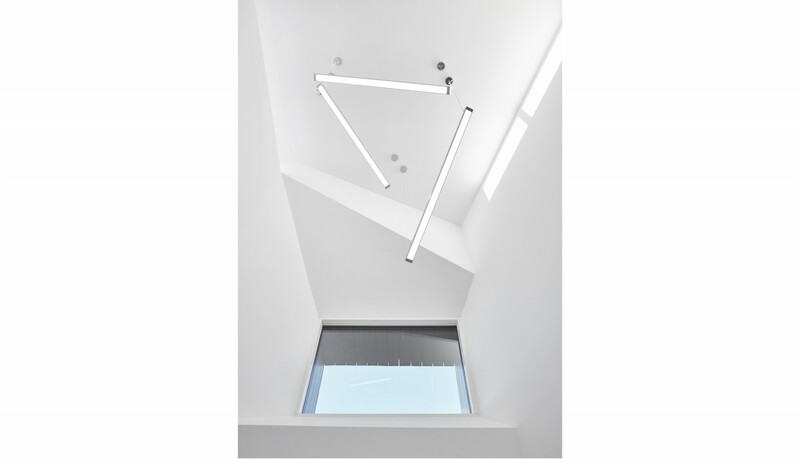 The entrance into the building is recessed beneath a projecting porch element which internally provides a faceted window, emphasising the height of the atrium within.